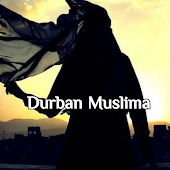 Durban Muslima: Yasmin Mogahed, "Love and Happiness"
"As much as you can, keep dunya (worldly life) in your hand--not in your heart. That means when someone insults you, keep it out of your heart so it doesn't make you bitter or defensive. When someone praises you, also keep it out of your heart, so it doesn't make you arrogant and self-deluded. When you face hardship and stress, don't absorb it in your heart, so you don't become overwhelmed and hopeless. Instead keep it in your hands and realize that everything passes. When you're given a gift by God, like wealth or status, don't hold it in your heart. Hold it in your hand so that you don't begin to love the gift more than the Giver. And so that when it is taken away you can truly respond with 'inna lillahi wa inna ilayhi rajioon': 'Indeed we belong to God, and to God we return'." --Yasmin Mogahed, "Love and Happiness"